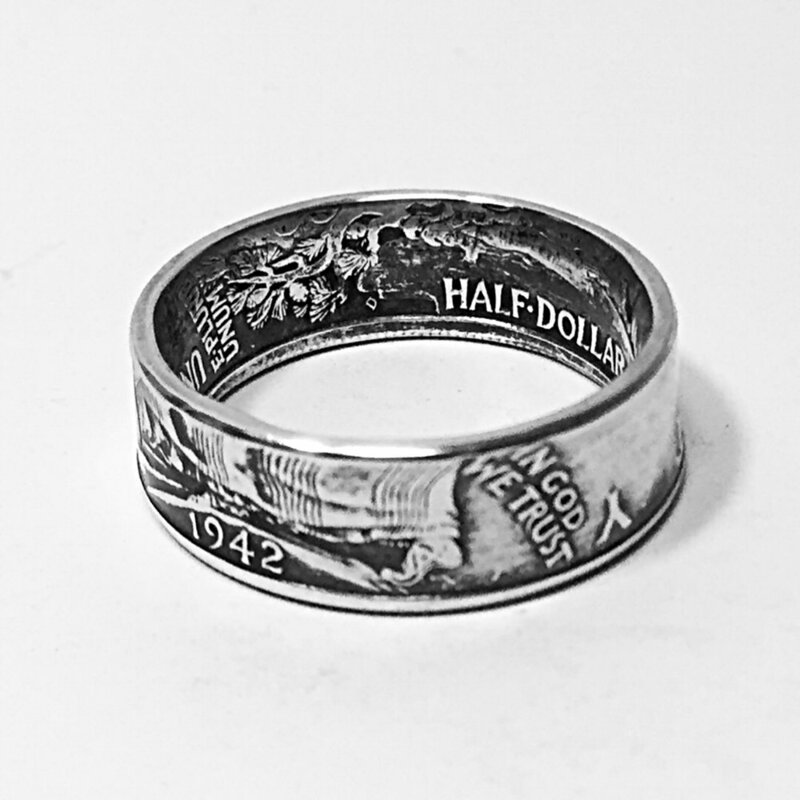 The Walking Liberty Half Dollar was a silver 50-cent piece or half dollar coin issued by the United States Mint from 1916 to 1947. The design of the half dollar bears a full-length figure of Liberty, the folds of the Stars and Stripes flying to the breeze as a background, progressing in full stride toward the dawn of a new day, carrying branches of laurel and oak, symbolical of civil and military glory. The reverse of the half dollar shows an eagle perched high upon a mountain crag, his wings unfolded, fearless in spirit and conscious of his power. 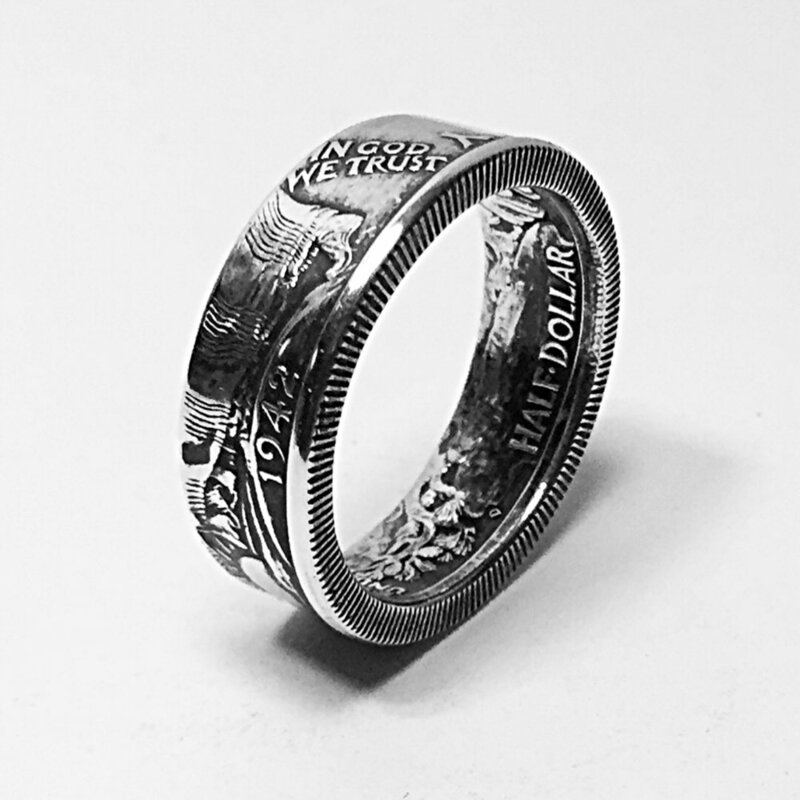 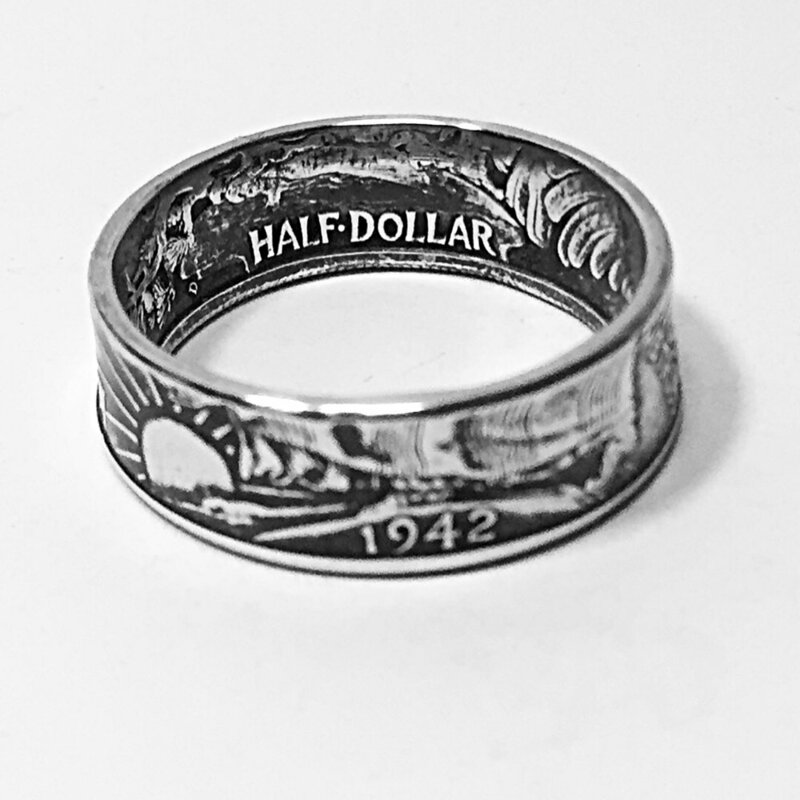 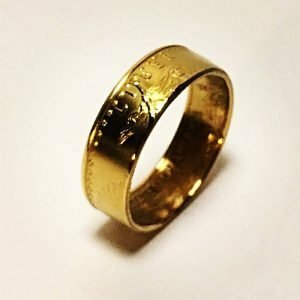 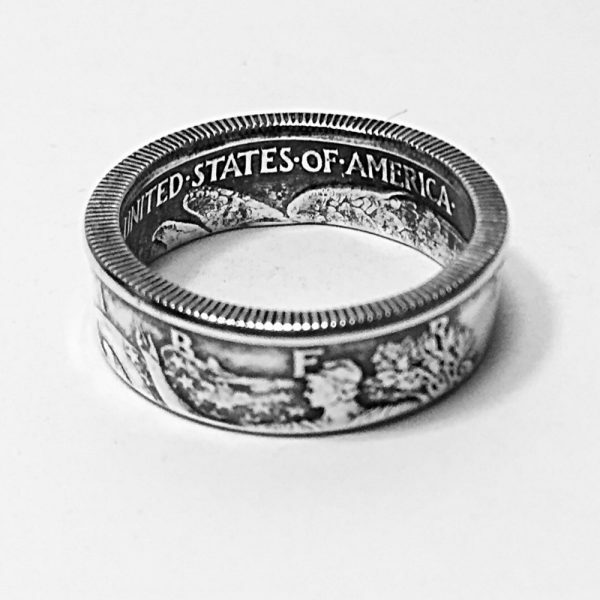 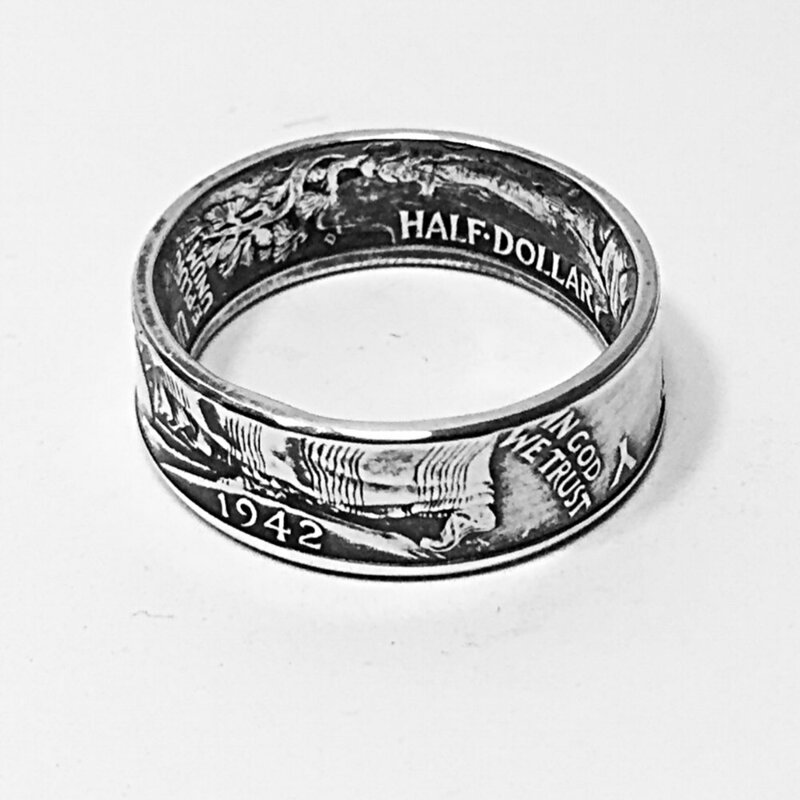 The Walking Liberty Half Dollar Coin Ring is full of beauty and detail, many of the characteristics is displays can still be seen on coins in production today. 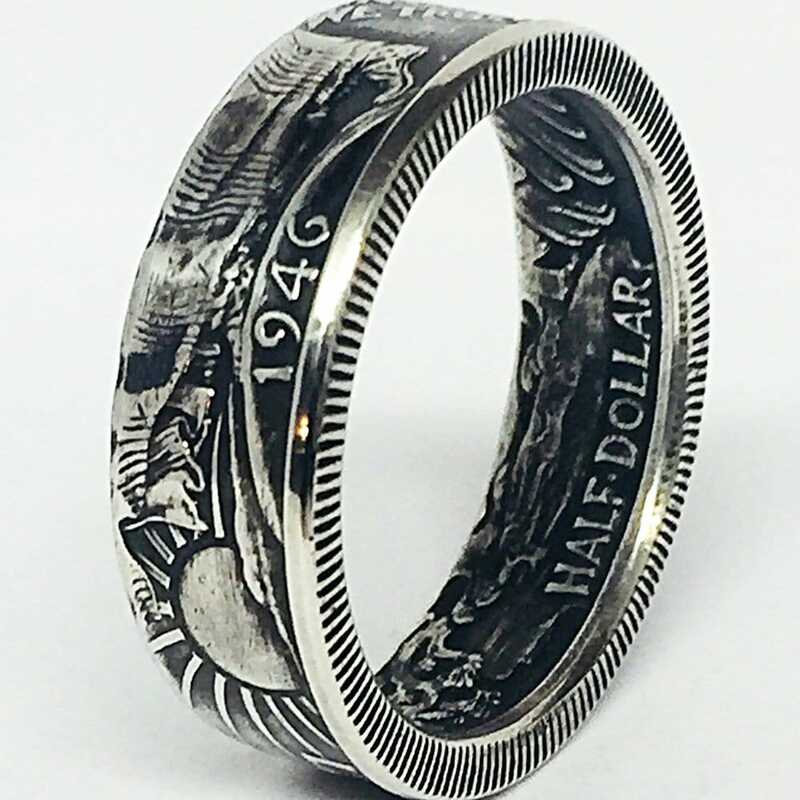 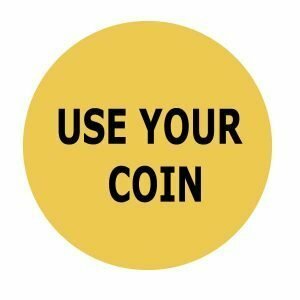 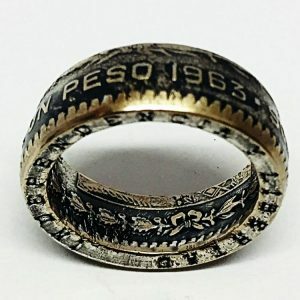 As will all coins minted before 1964 it will never leave any discoloration on your finger as it is made with 90% silver.